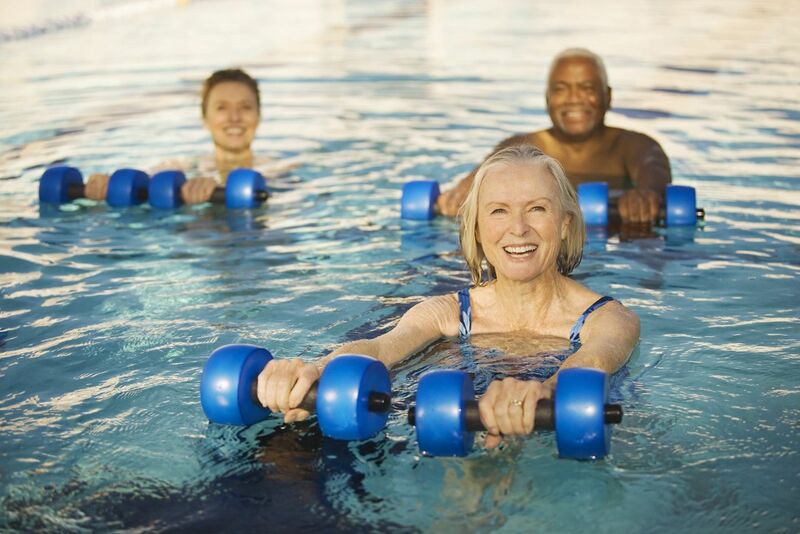 Aqua Power is a high intensity cardio workout. This class is all about getting your heart rate up. Water has about 14 times the resistance of air. You have to work harder in the water so you burn more calories. 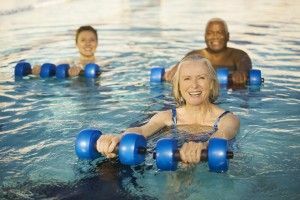 Water also gives you buoyancy so it is easier on your joints. You will be doing intervals, kickboxing, various athletic training exercises. You will also be using rebounding (jumps) and suspension (no touching the pool bottom) with and without floatation devices. There are a wide range of ages and ability levels that come to this class. It is very self adjustable. Don’t worry if you can’t swim or are uncomfortable with your feet off the bottom of the pool. There are options on how to do the exercises for everybody. Just ask your instructor. We end the class with abdominal workout and stretching. Bring a towel and join the fun.